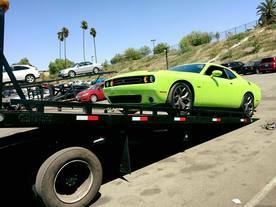 Have no fear, 24 Hr Towing is here with jumper cables for another one of your dead battery jump starts in Riverside County, California. 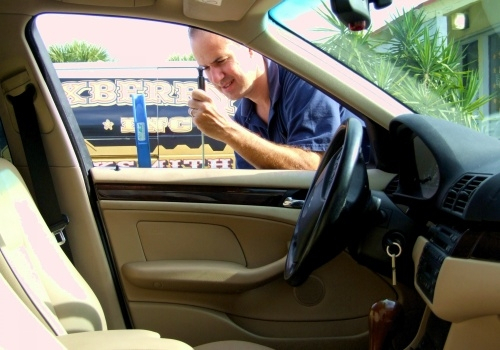 Find us at your fingertips any time of the day, roadside assistance is just a call away. We've got the cables that can bring your battery the juice you need, getting you back on the road in no time. We can also buy you a new battery and replace it if that's the case. You can call us the 24 hour roadside ace! Our prices can't be beat, nor will they ever be beat! That's our companies motto and we stand by it. Towing and roadside assistance can get rather expensive, however, with the right company and equipment we're sure to bring you something quality and affordable. Get your car a jump start today at a cost of only $69, or even $49 depending on the distance you our from our roadside assistance provider Riverside, CA. It can be tough how to tell when a car battery is dead, or even what to do if it really is. Some of the most sure sign symptoms of a dead battery, or a battery that needs replacing, can be found here. This quick guide will show you exactly what to do in any scenario, and whether or not you'll need to buy a new battery or jumpstart a dead battery. In any case, we're here to help you. 1. Engine begins to turnover, but does not start. If you crank the key and the engine tries to turn over when but fails to start, 95% of the time it is your battery. Of course it is possible it is your starter, or maybe even another problem, but usually the battery is the culprit here, even if your car is vigorously trying to turn over. If you decide to grab an ammeter (current-measuring device) and it states your car battery is good, it may just be a couple volts from what it really needs to start up and purr like a kitten. In any scenario that your car is struggling to turn over, it's best to grab a pair of your handy-dandy jumper cables or jumper box. If you don't have access to either, find a neighbor or jump starting auto service company like us to help you out. 2. No lights, no turnover, no response. It's rather simple when it comes to diagnosing the rascal in this particular situation. Here's the answer: It's your battery almost 100%. Your battery is needed to power every accessory in your car, including your lights, and engine startup, and especially when the alternator is not running. So if your automobile is absolutely void of any hope at starting, then your battery is probably going to need replacing. In this situation be wary, as when your car does not even have enough charge to power the lights or turn over the engine, it may likely be a combination of your alternator and your battery. If your car does not crank or start, but your headlights still work, it could be a bigger issue such as your engine or alternator. You'd probably want to go to a mechanic in this place and leave us alone! 3. Car works some days, nothing on other days. Having your car start on some days but no on others can be one of a few things. 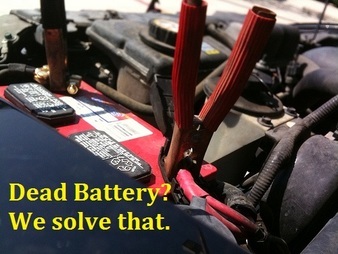 1) your battery terminals have become loose, broken, corroded, or calcified or 2) you could have a parasitic draw (meaning power is being drained by a light being on unintentionally, a wire touching something it shouldn't, or something staying on that should not be on even when it is turned off). The first thing you'd want to do is check your battery cable connections for corrosion, calcification, or loose or broken ends, as this is one of the most common cases and issues we see. It is also rather easy to check yourself. If you decide to check for issues yourself, you need to ensure the cables are fit and snug and free of damage. There should be no room for movement in them; you shouldn't be able to wiggle or shake them an inch when they are properly tightened. If your cables are frayed or falling apart, you need to replace them ASAP!